State lawmakers continue to battle a media coalition’s lawsuit accusing them of not abiding by the state Public Records Act. When the state attorney general says you’re wrong, maybe it’s time to give up the fight. State lawmakers appear determined to keep much of their work hidden from the public, no matter how much it costs Washington taxpayers. The Legislature continues to fight a case brought by 10 media organizations, including The Associated Press and The Seattle Times, challenging lawmakers’ assertion that they don’t fall under the state’s Public Records Act. The coalition sued last year over the Legislature’s failure to disclose lawmakers’ emails, text messages, calendars, disciplinary records and other working documents. These are records other government officials, including Gov. Jay Inslee, must release. The Legislature’s misinterpretation of the law violates the public’s right to know who is influencing their elected senators and representatives. It also shields lawmakers from being held accountable for abuses of power, such as the instances of sexual assault and harassment that are now coming to light as the #MeToo movement takes hold at the Capitol. The Legislature’s case is weak. In fact, the state Attorney General’s Office weighed in Wednesday, filing a friend-of-the-court brief disagreeing with the Legislature’s position that state lawmakers are immune from the law. “ … Individual legislators are subject to the provisions of the Public Records Act in the same way as any other elected state officer in Washington,” the Attorney General’s Office said. This difference of opinion might be why the Legislature did not call upon the reasonably-priced public lawyers that work for the Attorney General’s Office to mount its legal defense. Instead, the Legislature chose to hire four private attorneys. The Legislature’s stubborn commitment to secrecy comes at a cost. Financial records, which are among the few internal documents the Legislature releases, show one of the Legislature’s private lawyers, former state Supreme Court Justice Gerry Alexander, charges $400 an hour. Another hired attorney, Paul Lawrence of the Seattle-based Pacifica Law Group, bills $495 per hour working on the public-records case. A second Pacifica lawyer, Nick Brown — the former general counsel to Inslee — charges $325 an hour. The fourth attorney, Pacifica’s Claire McNamara, costs $200 per hour. Between August and November, the Legislature spent more than $54,000 on the case. That doesn’t include many hours the lawyers spent preparing for a hearing in December. This lavish an outlay of taxpayer money is unnecessary. Though the Attorney General’s Office may disagree with the Legislature’s interpretation of the law, the agency’s lawyers would have been obligated to defend the Legislature’s position anyway, had the Legislature asked. That likely would have been a far cheaper route. While making direct price comparisons is difficult due to differences in billing methods, Attorney General’s Office spokeswoman Brionna Aho provided a rough estimate based on the agency’s average billing rate. She said assuming an assistant attorney general works on a case for 135 hours per month, the cost would be $150 per hour. “This is substantially less expensive than most hourly rates,” Aho wrote in an email. She said if a public attorney worked more hours on a case, as happens regularly, it would drive the hourly price down even more. Legislative officials refused to explain — twice — why they chose to retain private attorneys, other than to say state law gives them the right to do so. Perhaps leaders were willing to pay top dollar to try to find lawyers who share their view that lawmakers should be beyond the reach of the Public Records Act. But on that point, even members of their private, high-priced legal team don’t seem to agree. Brown, in his earlier role as Inslee’s top lawyer, said during a May 2016 meeting of the state’s Sunshine Committee that he thinks the Legislature should have to follow the same rules as other public agencies when it comes to releasing documents. “I would suggest that we apply those same standards for the Legislature as well,” Brown said. During his time as chief justice, Alexander, too, favored a broad application of the Public Records Act, disagreeing with a 2009 ruling that said the judicial branch of government is exempt from the law. A dissenting opinion signed by Alexander and Justice Debra Stephens called the Public Records Act — which evolved from a citizen initiative voters approved in 1972 — “a broad mandate for open government.” They argued that the judiciary would clearly meet the definition of an “agency” subject to the law, even though it is a separate branch of government. Today, Alexander is part of a team making a very different argument: That the Legislature doesn’t qualify as a state agency that must follow the law, partly because — ahem — it is a separate branch of government. In an interview, Alexander said he doesn’t remember the details of the 2009 case, but said he generally favored more transparency in the court system. Brown said his personal opinion on the public-records law was “not relevant,” saying his job is to represent his client. 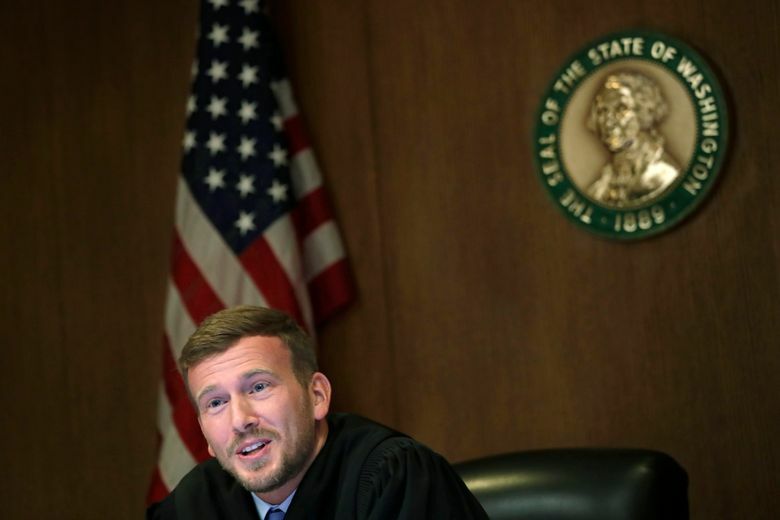 Thurston County Superior Court Judge Chris Lanese is set to rule on the media coalition’s case against the Legislature Jan. 19. Regardless of what happens in court, lawmakers should listen to the past opinions of the lawyers they are now paying hundreds of dollars per hour to represent them, as well as the opinion of the Attorney General’s Office. Under no circumstances should legislators continue to fight this dud of a case at taxpayer expense. Given the cost of the lawyers they’ve hired, just imagine the legal bills that could pile up during an appeals process. Instead, lawmakers should pass legislation this year making it clear once and for all that they must release their emails, calendars and other working documents to the public, just like other government officials. This should apply not just to documents in the future, but also to emails, administrative documents and disciplinary complaints from past years. Legislators shouldn’t need a court order to cough up government records that other public officials produce every day. The people of Washington state have demanded transparency from all levels of their government. It is time for the Legislature to deliver.